We are very proud to introduce this incredible Complements Primo Vase. This vase has a very stylish design that'll be sure to stand out and impress, whilst creating a unique atmosphere in any home. 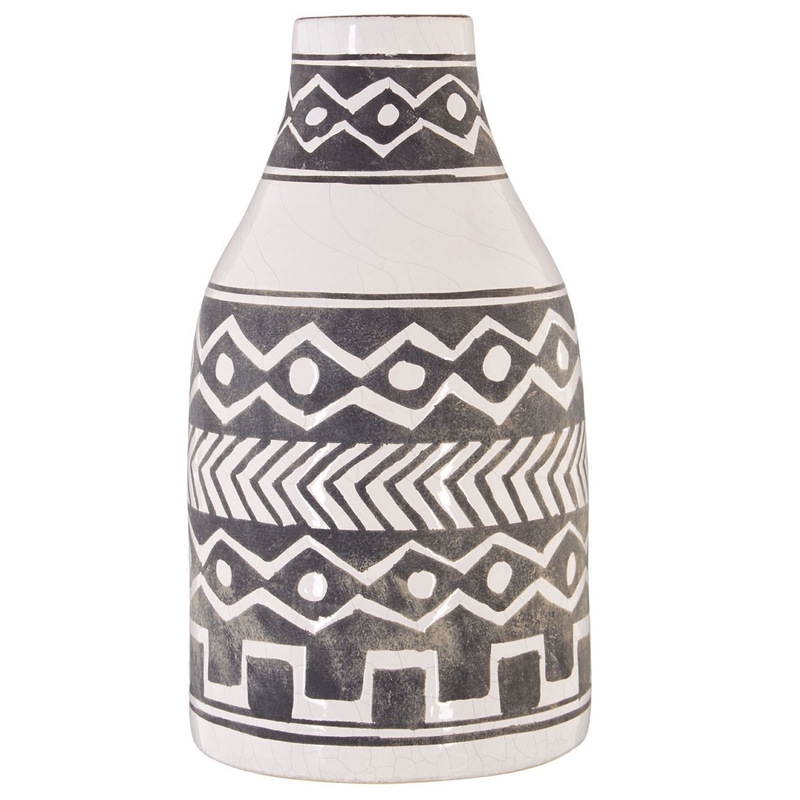 This vase has a lovely white colour, given dark grey detialing with a very stylish mono tribal-styled pattern that'll be sure to create an interesting focal point.